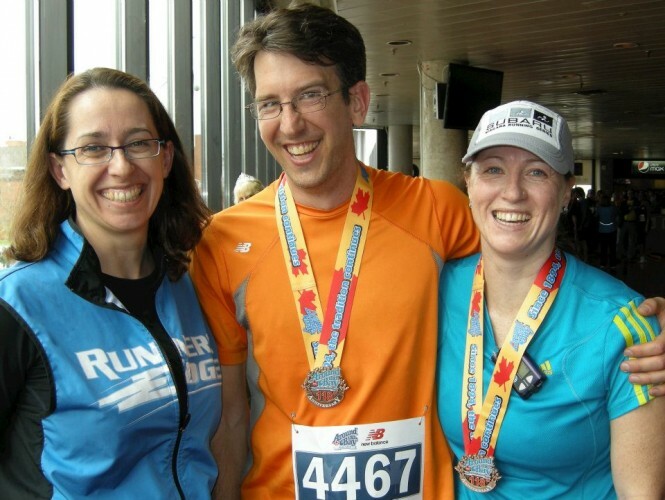 Sunday, I ran Around the Bay, the 30K race in Hamilton and Burlington, Ontario, that I’ve been writing and worrying about here for many, many months. Let’s just cut to the chase. I’ll write more about the fantastic weekend I had with Scully and Céline after this brief race report. That was the race. Now for the good stuff! Céline and Scully convinced me last year to do this race last October, and I had been super-excited about it since then. I love going to Canada. Heck, let’s just say that I love Canada. Period. It’s the people and point-of-view mostly. So I had hoped this trip was going to be a great mix of fantastic people, beautiful scenery, tasty food, a fun race, a whiff of international intrigue, and—what’s this?—curling. 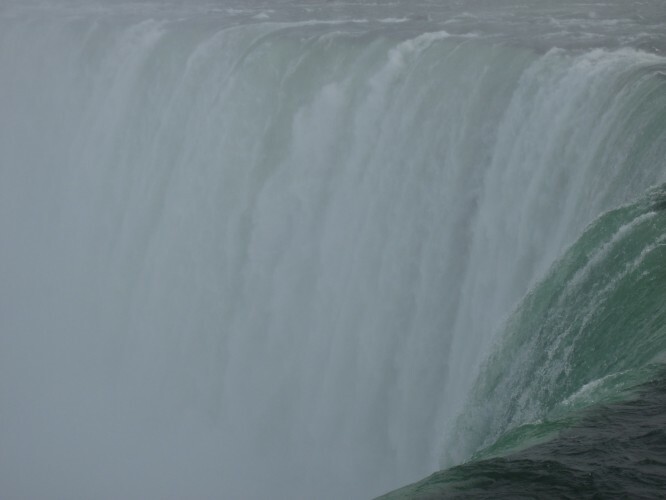 After a very short flight to Buffalo and a short drive, I was viewing Niagara Falls, a beautiful and impressive force of nature. So much water. So much spray. So much noise. Unfortunately, the short flight messed with my already messed up sinuses, and my hearing was off all weekend. I guess I’ll just have to go back another time (with Lisa, of course) to hear the full rumble of all of the water going over. 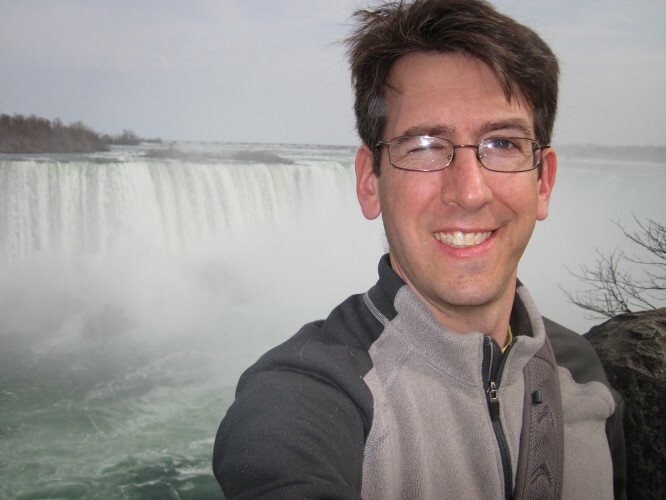 I was a little late getting to the curling rink to meet with Scully and Céline because I had to sit in the rental car for a little while waiting for my blood sugar to come up after it went over the falls in a barrel. 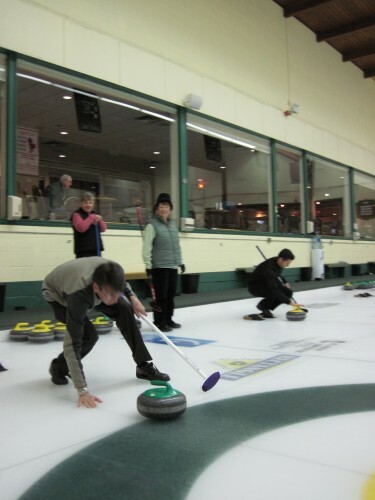 I knew next to nothing about curling on Friday morning, except that Céline does it and that I would meet her and hang out with Scully while she did her slippy shuffleboard-thing with stones and brooms. Fortunately, one of their common friends came along to explain the whole thing. Afterward Céline’s Doug posed an innocent question: “Would you like to throw a stone?” (He might not have said “throw.” I made up a lot of descriptions about what was going on, to everyone’s amusement.) When in Canada, do as the Canadians do, eh? Yes. But look! I think I’m ready, Céline. Just don’t ask me to go out and scrub sweep. The rest of the weekend I spent with my Dia-besties. After picking up our race numbers and swanky “Older Than Boston” shirts, we set out to do two very important things: buy chocolate and buy cheese. 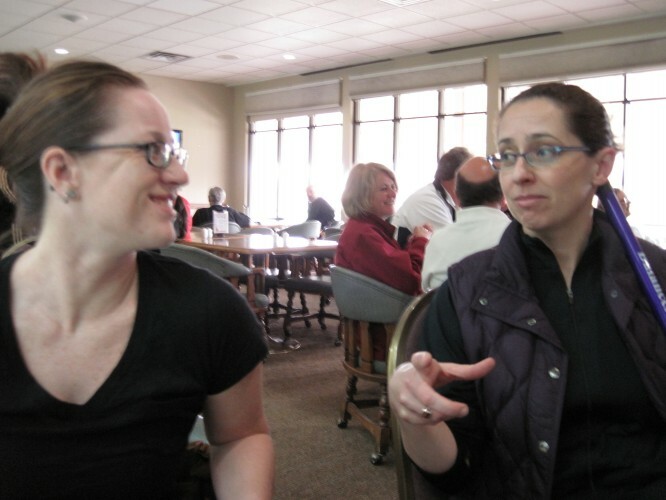 We drove all over the Niagara region, chatting the whole time as if we’d known each other for years. Even though I’m home now—and it’s time to give my passport a bit of a rest for a while—I think it’s worth saying again: I had such a great time this weekend! 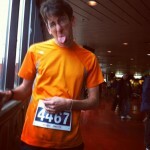 This entry was posted in Canada, Diabetes, I am Rembrandt, Running, Travel. Bookmark the permalink. Well, you captured it all my friend. The food, the friendship, the fun – it was such a pleasure to meet you and hopefully we can meet in real time again before too long. Oh, and it’s not a box, it’s the house…and it’s not a lane it’s a sheet. 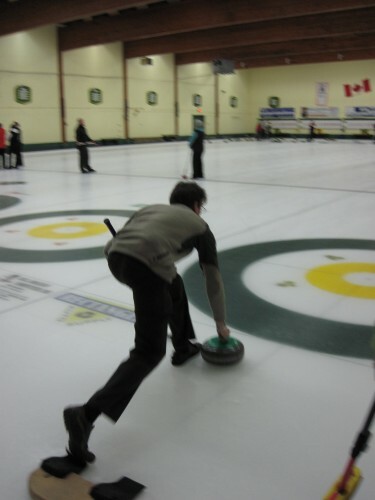 You really need to get your a$$ back to Canada for curling lesson #2. 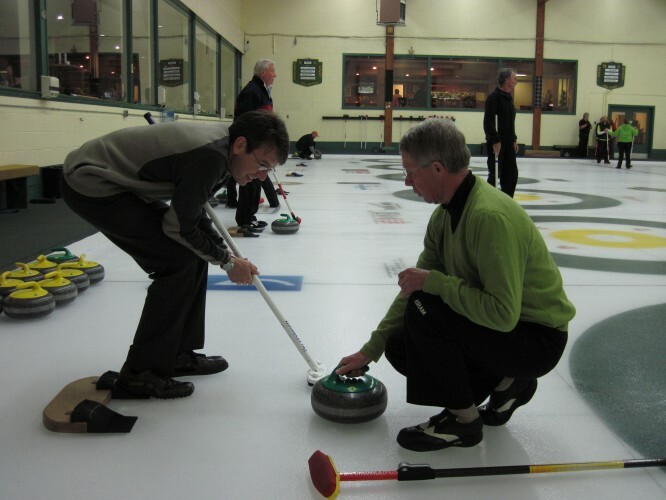 Bring Lisa this time and we can get a curling game going. I’ll give you a shiny american quarter! This post is awesome for many reasons! I’m glad you were able to meet your dia’besties (love it) and run more than 14k. You rock! LOVE LOVE LOVE my new dia-bestie! The picture of Hamilton… *sigh* it’s not THAT bad! Thank you for coming here and making ATB2012 so memorable. What a fantastic weekend! You did awesome to boot!